We are not just dealing with housing as such. We are building a community. We don’t look at this in terms of so many houses. Rather we think in terms of the functions of a community. We don’t, you see, have club rooms for tenants but centres for a community. 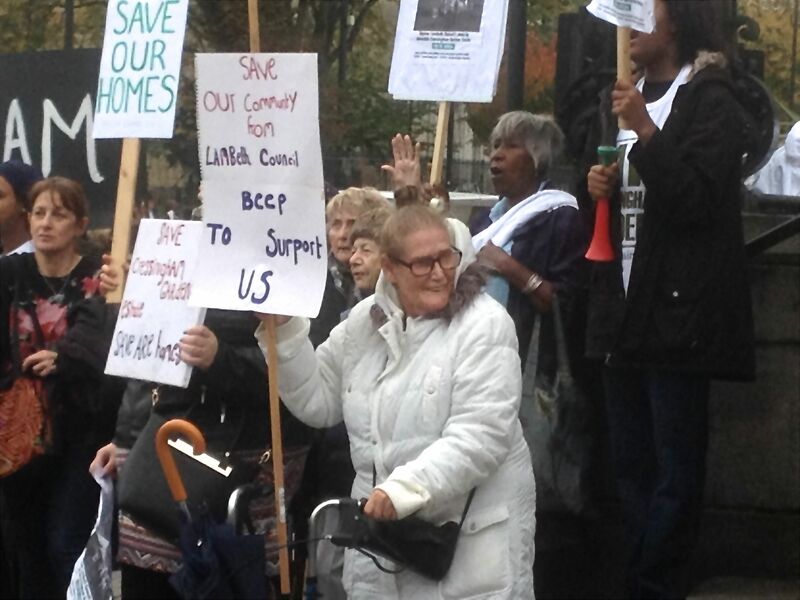 We don’t have old people’s homes set aside on their own. We integrate them into other things we are planning (1). 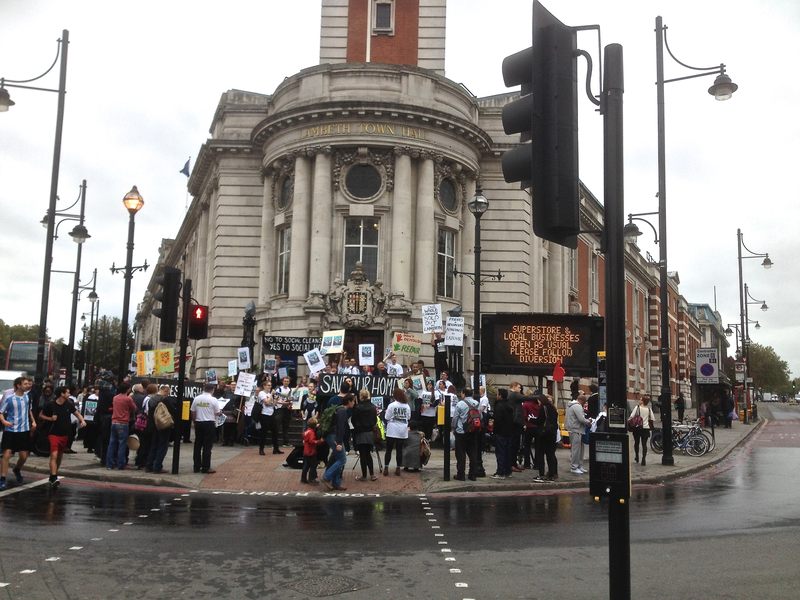 And then on to Lambeth Town Hall. Lambeth Council is considering the partial/full demolition and rebuild of Cressingham Gardens instead of simply repairing it. To fund the demolition and rebuild, they will be building extra new flats and homes on the estate that will be sold to raise cash for the council. This will destroy the existing vibrant community and affect every user of the beautiful Brockwell Park. 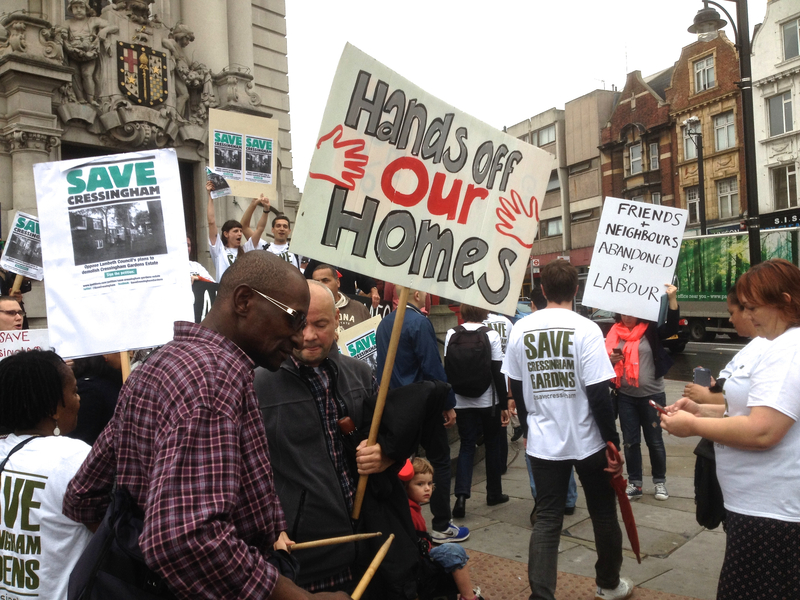 More than two years after Lambeth council told us our estate had been put into a regeneration programme because they couldn’t afford to repair it, we are marching to the town hall to show our opposition on Saturday. We’re frustrated that no one from their side is listening to us, so we hope the protest will now catch their attention. 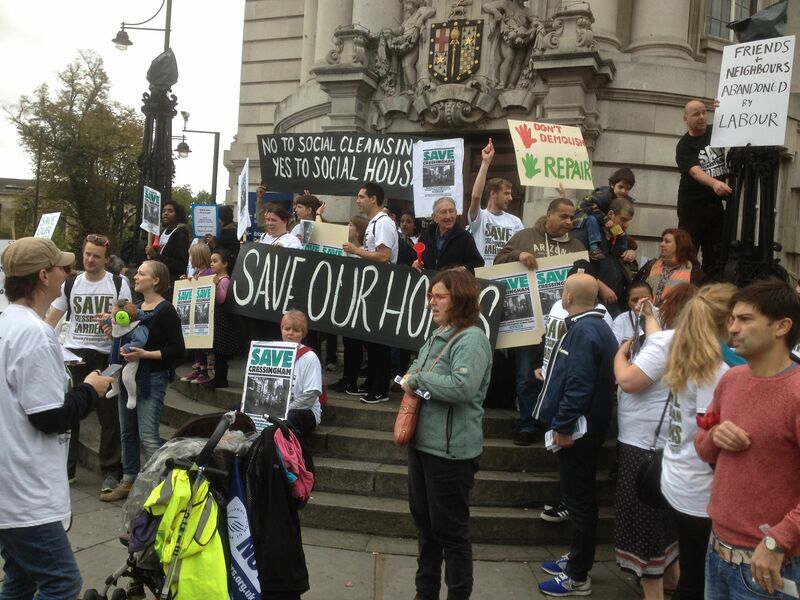 The message must get through, before the borough’s cabinet committee decides our fate in December. ITV also covered the protest, you can see that here. 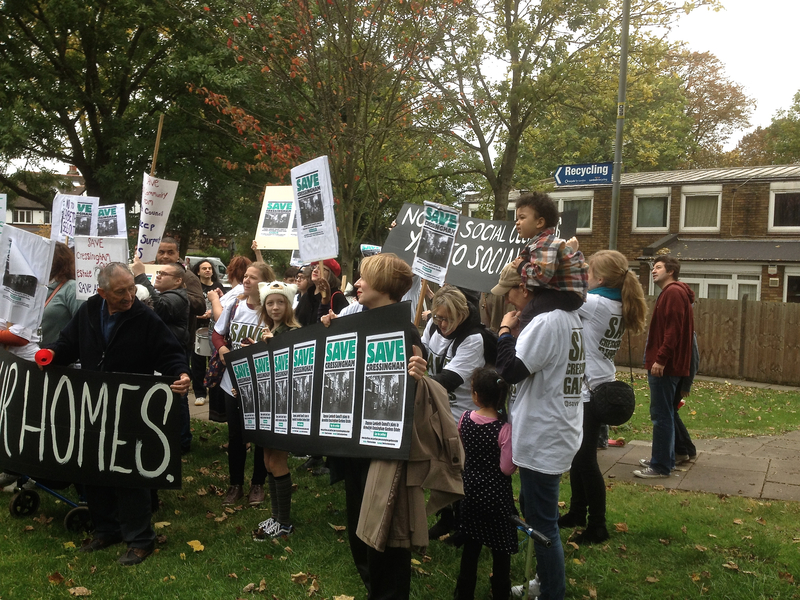 Hopefully this protest and its coverage will get the message through to the council. The health and safety issues and the way that the redevelopment at Myatt’s Field is pricing out previous tenants shows the pitfalls of such plans for redevelopment by Lambeth Council, and we need to stop it before the Cressingham Gardens community is similarly smashed and social housing lost to our wider community. 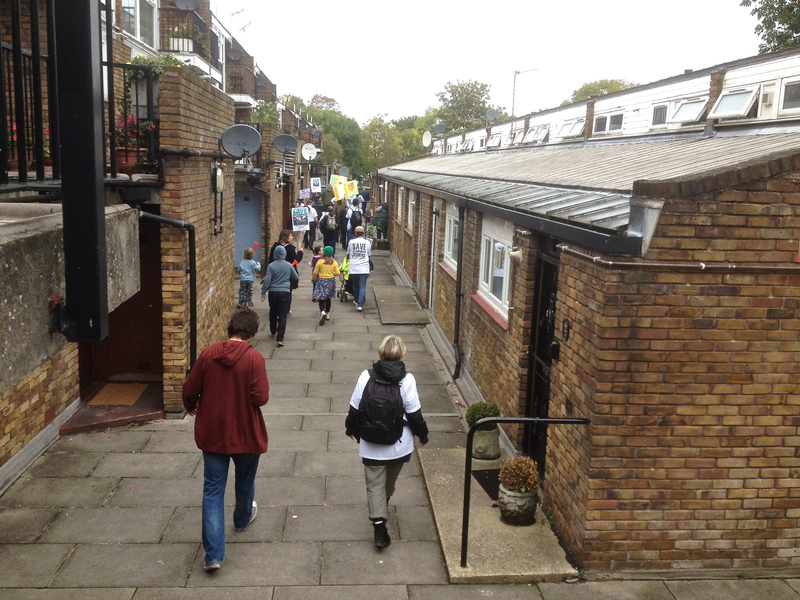 I went from this to the TUC march — the Cressingham Gardens protest was so much better. I think with Unison and UCU calling off strike actions this week and the TUC just being generally useless, this march was a general lesson in how together they have demobilised the labour movement. It’s quite shameful, I know we can do better, we must.